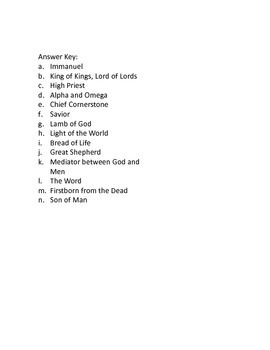 This is a short quiz that I used with my Teen Youth Group. 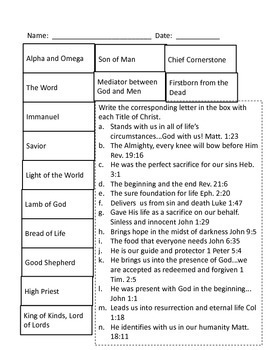 We had a unit of study on The Titles of Christ. 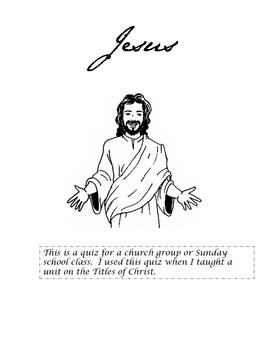 This was used as an assessment and spiral review.